India’s first Portable Diesel generator Series, which meets CPCB New Emission & Sound Norms, applicable form April-2014. World’s quietest Portable generator in its class with very low noise. Full automatic & Smart Generators, can Start & Stop by itself. Now you can enjoy the benefit of Invertors by owning this Generator. The best Fuel Average. The great fuel saver generator, save 40% fuel compared to any other Brand of generator available Globally. LAPTOP MODE: Select this mode for running sensitive electronic appliances like Laptops / Computers etc. Genset will deliver stable frequency (50-51 Hz.) & stable Voltage (230 volts). POWER MODE: Select this mode for running high surge loads like : Air condition, Deep Freezers, submersible pump, Inductive loads / Industrial loads, Elevators (Lifts) etc. India’s only portable generators to have Innovative & indigenously developed, world’s best REM Alternators. Rare Earth Magnetic (REM) Alternator gives Unbeatable high electrical efficiency η ≥ 95% . REM Alternators bears Very High overloads & can deliver almost twice the rated current, which is very helpfull to start Air Conditioner type Loads. Our Alternators Gives Pure Sine wave voltage with total Harmonic Distortion (THD) ≤ 2%. Brush less Alternators, which means, No Maintenance & long life. 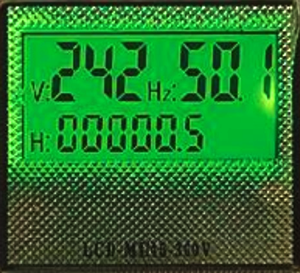 The conventional Generator having THD 25% (Very Poor Sine wave) are only suitable for light loads & domestic use. The Himalayan Portable Generator uses the new innovative REM Alternators, which gives 100% pure Sine wave, without any distortion & harmonics. HPM Genset uses, Magnetic low noise, high efficiency Twin Blower system with variable speed. 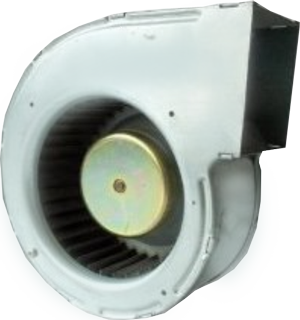 The Air flow of these PMDC Blower, automatically increase with proportions of increase in load, so as to maintain stable Temperature : even it is used non-stop for 24 hours. HPM Gensets are long life & very little maintenance expenses. Wide range of Portable Generators 1 KVA to 10 KVA, more than 55 Models to Suit needs of all type of Consumers. Strong Spare Parts Backup with 25 years experienced Servicing Team. Strong In-house R&D Center. All products designed & developed indigenously.